I am back in Jakarta from a hectic, but very productive Workshop #15 for the Global Alliance for Project Performance Standards (GAPPS), http://www.globalpmstandards.org/ held at the beautiful Pretoria University Campus, http://web.up.ac.za/ Pretoria, South Africa, from 21 – 23 Feb, 2009. Despite the global recession, attendance was good and as always, the camaraderie and commitment were outstanding, as was the food!! One of the primary objectives of GAPPS is to map the competency standards GAPPS has developed to serve as a baseline or “common denominator” against which to compare the bodies of knowledge and methodologies offered by professional organizations, individual companies or government agencies. In this workshop, we compared IPMA’s competency-based credentials vs. the GAPPS standards and we started mapping AACE’s Total Cost Management Framework against GAPPS. As I am most familiar with AACE, let me use them as an example and start by explaining that what GAPPS offers is NOT a competing credential, product or service, but a BENCHMARK or BASELINE. When comparing the GAPPS standards against AACE’s Total Cost Management Framework (TCMF), http://www.aacei.org/tcm/ we learned that while in many areas the AACE methodology exceeds the GAPPS standards, there were some areas (particularly in the soft or human aspects) where the TCMF was below the minimum standards set by GAPPS. So how is AACE using this information? In the upcoming revisions to the TCMF, AACE Technical Committees http://www.aacei.org/technical/ are working to address these areas of weakness. This is not perceived to be a threat, but, consistent with the fundamental concepts of quality management, an opportunity to benchmark against an independent standard. GAPPS BoD voted to create a standing Marketing and Communications Committee, charged with the responsibility to help the community of practice understand that GAPPS is NOT in the training or consulting business. We do not compete or offer alternative credentials. The only thing GAPPS offers is a baseline standard, which enables any professional organization, company or government agency to compare their standards against the GAPPS standard, understanding that maybe they exceed the GAPPS standard and maybe not. In particular, GAPPS Marketing and Communications has been charged with reaching out to companies wishing to benchmark their in-house project and program management methodologies against GAPPS. Contrary to mistaken belief, GAPPS is NOT a competitor to organizations such as PMI, AACE, IPMA etc. GAPPS does NOT offer professional certifications. One of the services GAPPS does offer is to function in a role similar to the “Good Housekeeping Seal of Approval” http://en.wikipedia.org/wiki/Good_Housekeeping or the Consumer Reports “Best Buy” http://www.consumerreports.org/cro/index.htm or the Underwriter’s Laboratory http://en.wikipedia.org/wiki/Underwriters_Laboratories for project/program management competencies. That is, GAPPS serves as an INDEPENDENT third party that ENDORSES project and program bodies of knowledge and methodologies as having met or exceeded the MINIMUM competencies identified by GAPPS. What GAPPS does is to MAP the bodies of knowledge and methodologies against our independent third party standards and ENDORSES these bodies of knowledge or methodologies as having met the GAPPS standards, and if they do not meet the standards, where the weaknesses lie. 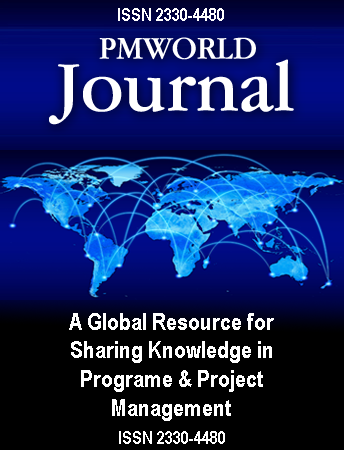 Editor’s note: Second Editions are previously published papers that have continued relevance in today’s project management world, or which were originally published in conference proceedings or in a language other than English. Original publication acknowledged; authors retain copyright. This paper was originally published in PM World Today, March 2009 (Vol XI, Issue III).